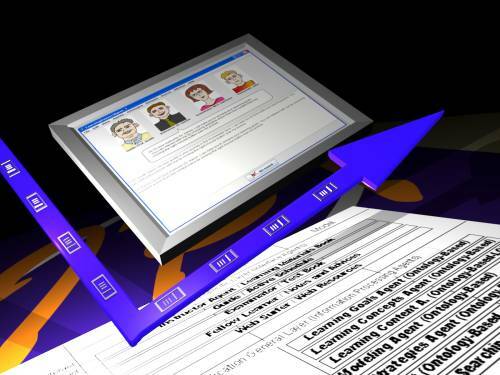 The project aims to develop a software architecture and system for collaborative and adaptive courseware delivery that will be based on sound psychological and pedagogical principles, using ontological form of knowledge representation, and utilizing the advantages of intelligent agents approach for dynamic construction, sequencing and presentation of learning content, and facilitating interaction between the autonomous agents (humans and computer-based). Able to exchange knowledge and information with other LTS systems conformant to IEEE LTSC LOM Standard, IMS QTI and IMS Learning Design Specifications. Using industry standard, platform independent, component-based implementation technologies such as Enterprise Java Beans (EJB™) and Java Server Pages (JSP™).